Shop the Best orthopedic braces and supports to relieve pain in Back, Arms, Wrists, Knees, Shoulders, Neck, Waist and Foot. Designed to prevent injury and support existing orthopedic conditions as well as help improve overall comfort while sitting, standing, moving or even sleeping. Back braces and supports: these orthopedic back braces are designed to help you relieve your lower back pain, improve posture and align your spine. They help you maintain a correct back posture while sitting, standing or moving. These braces are great to wear especially after having a back or spinal surgery as they can limit the movement of your lower back and help speed up the back healing process. Wrist support and braces: from Carpal Tunnel Syndrome to Arthritis and wrist injuries, these orthopedic braces help support and protect your wrist, hand and fingers while doing your daily activities. They help strengthen your wrist bones and muscles aswell as speed up the wrist healing process. These wrist splints are designed to provide maximum comfort and pain relief from Carpal Tunnel Syndrome, fatigue, hand cramping, Arthritis, Tendonitis and wrist injuries. Arm braces and supports: Add stability, compression, and protection to your arm with these elbow and arm braces. Great for golf, tennis, weightlifting and other sports. 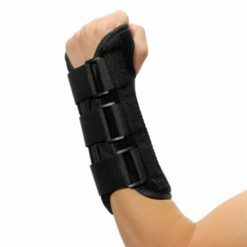 These support braces are ideal for protecting your arm and elbow joints and preventing injuries. 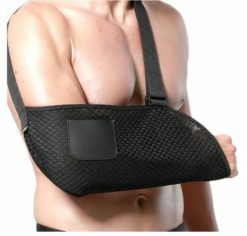 These arm braces are also great for relieving the pain of arthritis and reducing swelling. Knee braces and supports: Check out our selection of high-quality knee braces, sleeves, and straps to relieve your knee pain and recover from injuries. 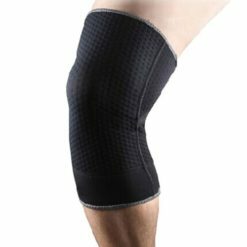 From Bursitis to ligament injuries and kneecap injuries, these knee braces are designed to provide maximum support and protection to your kneecap and the surrounding ligaments. They are great to use anytime anywhere especially while playing sports. 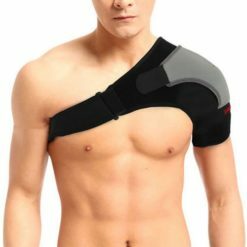 Shoulder braces and supports: If you have a clavicle fracture, dislocated shoulder, shoulder injury or if you recently had a surgery in your arm or shoulder, these braces and slings will provide your shoulder with stability, support and protection to speed up your recovery and healing process. 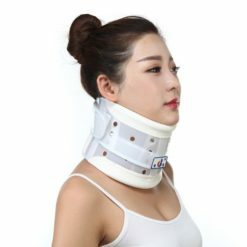 Neck braces and supports: From neck self-heating therapy to cervical thoracic orthosis, cervical collars, and cervical traction devices, these braces will relieve your neck pain while providing the maximum support and protection to your cervical vertebrae. Waist support belts: Shop the best Waist slimming belts, corsets and maternity support belts. 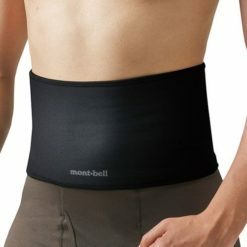 These support belts are worn around your waist to support your lower back, relieve back pain, improve posture aswell as help you with your slimming exercise. Our selection of slimming exercise belts and corsets will help you shape your waist, lose weight and look slim. On the other hand, the maternity support belts are a must have for every pregnant woman, these belts are designed to support your belly and back to reduce the weight on your spine, thus help relieve the maternity back pain and pain around your waist. Foot braces and supports: Shop the best selection of foot braces including Orthotic Insoles, Foot arch, ankle and heel supports, Bunion braces and toe separators and much more. You will find a brace for relieving Plantar fasciitis, foot Arthritis, heel pain, arch pain, hallux valgus, bunion pain and much more. 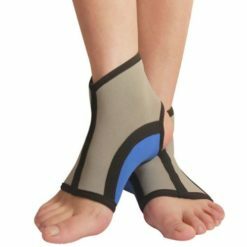 Our wide selection of walking braces, compression sleeves, foot splints, and socks will help you to deal with all types of foot pain while providing maximum comfort and protection for your foot.